Justin Timberlake’s 2018 world tour had an auspicious kick-off with Timberlake performing a medley of songs from his fifth album, The Man of the Woods, during the Super Bowl LII Halftime Show on Feb. 4, two days after the album’s release. The tour ran from March 13 to Oct. 22 in North America and Europe, with 76 shows garnering more than $149 million from 1.175 million tickets sold. 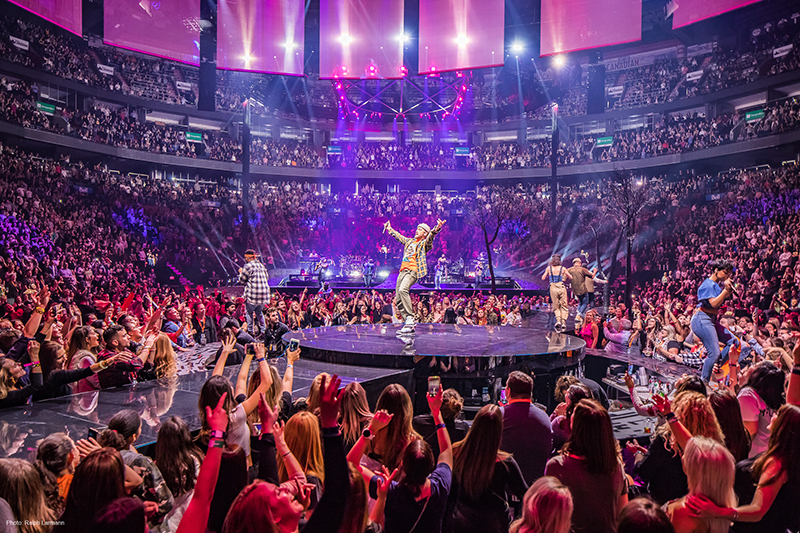 Timberlake’s tour resumes in early 2019 with 40 more concerts planned in the U.S. and Canada set from Jan. 4 to April 13, 2019.